Paris Farmers Union will be opening in Raymond, at the site of the former Aubuchon Hardware, above. Paris Farmers Union will open in Raymond, possibly as early as February 2017. The home, farm and garden company is coming to 1243 Roosevelt Trail, the site of the former Aubuchon Hardware store. Paris Farmers will renovate the 20,000 square-foot building, said Mike Rogers, marketing director for the company. There will be 11,000 square-feet of retail space for the store’s signature offerings, including gardening tools, fertilizers, greenhouse supplies and more, he said. The company has 11 locations across New England, with nine in Maine. 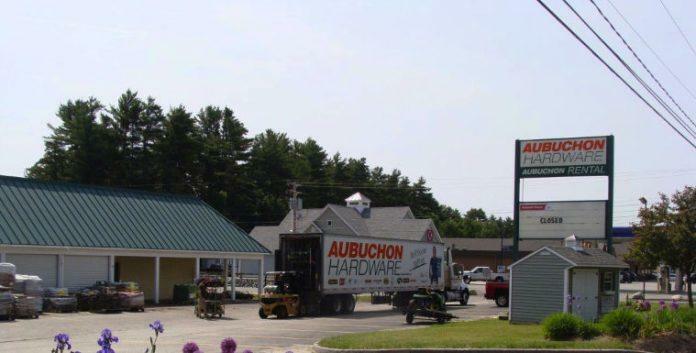 There is a farmer’s union store in Bridgton and another in Portland. The building, formerly owned by Richard and Sharon Dodson, was sold to the company Friday, Oct. 14, Sharon Dodson said. The couple owned and operated True Value Hardware Store before selling the business to Aubuchon in 2004. They retained ownership of the building, which they constructed in 1992. In June of 2014, the hardware store closed abruptly. The building has remained vacant since then. Dodson declined to comment on the selling price for the building.